CHECK OUT OUR NEW CARRY ALL – ORDER NOW! Great for the gym, work, travel and everyday – this stylish, functional carry-all provides hypo-microbial protection for your personal items and gear. It is crafted of silver-embedded healthcare quality fabric – inside and out – that defends against bacteria (including MRSA), fungus, mold and mildew. 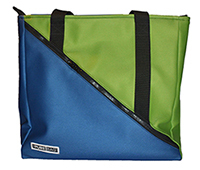 No more worries on where you set your bag or what you toss into it! 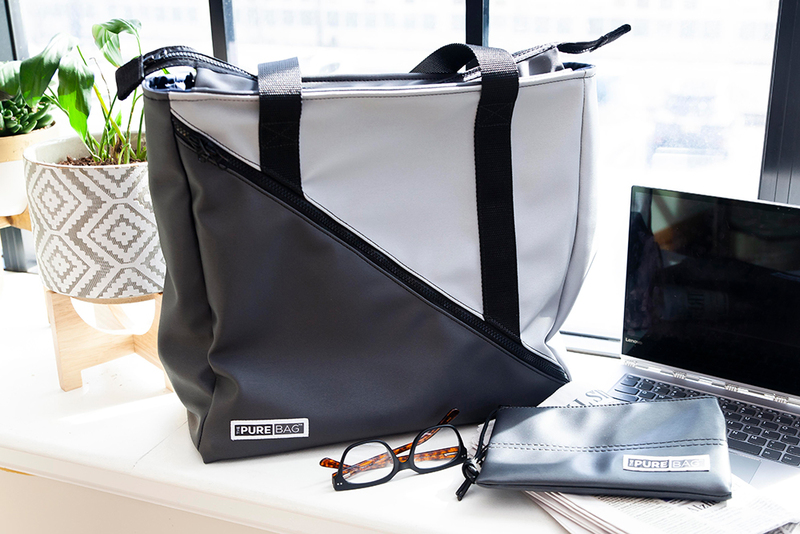 The water-resistant, UV-protected Bennett Bag by ThePureBag® features three stylish color combinations with a top zipper enclosure – all to keep your contents and personal environment fresh, hip and germ-free. The front diagonal pocket with dual zipper pulls adds a bold look that offers ample space to store your water bottle, smart pad, smaller personal items and sunglasses. ThePureBag® Bennett Bag offers the perfect combination of style + wellness to gift for Mother’s Day and Graduation! Gift yourself for summer vacations, business travel or just everyday life! Place your order now through April 19. 2019 to ensure delivery by Mother’s Day! If you have an account login to start pre-order process. Or, register to start pre-order process. We reserve the right to limit orders based on demand and will notify you immediately of any changes with option to choose another color or a refund. We appreciate our customers and value your suggestions. Many of you asked for a carry all bag for your everyday life. With this input, we found and collaborated with recent university grad, Hailey Bennett to bring this vision to life here at ThePureBag®. 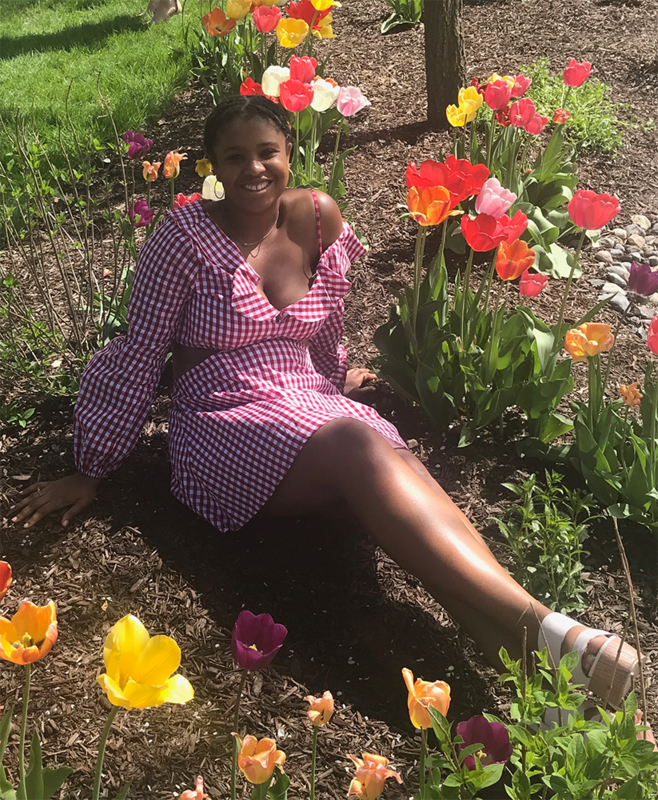 A Philadelphia native, Hailey earned her BFA in Fashion Design with a minor in Entrepreneurship & Emerging Enterprise from Syracuse University in 2018. In addition, she spent a semester abroad in the UK at the London College of Fashion. We met Hailey at a Fitness Event and connected with her on both wellness and design philosophies. Inspired by the diverse cultures in the marketplace, Hailey’s design work intertwines colors, textures and prints while integrating techniques and elements of sustainability. The resulting product named after Hailey – The Bennett Bag by ThePureBag® – is a celebration of versatility, function and eye-catching design. 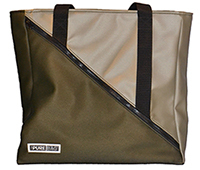 The Bennett Bag is the perfect accessory to add that fresh pop of uniqueness (along with germ protection!) to everyday life!